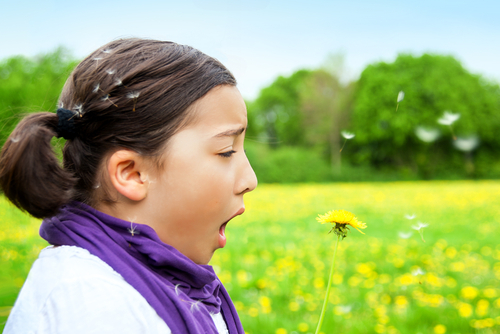 When you have allergies, it can seem like it controls your life. Quiet college seminars, dates and romantic weekends suddenly seem impossible. Without a supply of antihistamines on hand, you may be left sneezing and snuffling your way through your next date. For many allergy sufferers, over-the-counter antihistamines are an absolute necessity when their allergies flare up. Unfortunately, many people are becoming increasingly concerned over the safety of taking medication like this over the long term. Luckily, there is a natural solution to your allergies. Natural antihistamines can help provide relief from allergies without the dizziness, headaches or sleepiness that normally accompanies over-the-counter medications. Your body is an amazing machine that is talented at spotting foreign pathogens and invaders. When an infection enters your body, your immune system boost blood flow to the affected area and attacks the infection. Unfortunately, your body is not perfect. 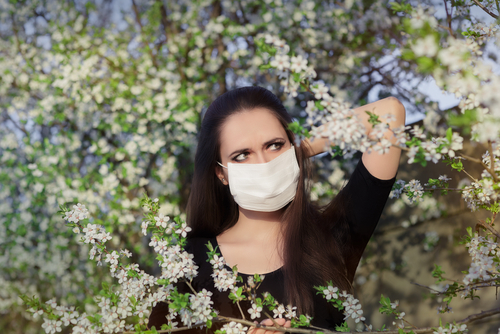 Sometimes, it thinks that allergens like dander or pollen are dangerous foreign invaders instead of a part of the environment. When this happens, your body still produces histamine. Blood vessels leak slightly as blood flows to the area, which causes your mucus membranes to swell. Because of the extra mucus, you may develop a runny nose, itching, sneezing, itchy eyes and swelling. Histamine is extremely useful for your body to defend against bacteria, fungi and viruses. Unfortunately, it can go into overdrive and cause you to experience allergy symptoms. An antihistamine is designed to stop histamine from causing so many side effects. Interestingly, there are many natural antihistamines that you can find in your cupboard or at a natural foods store. While over-the-counter antihistamines are generally safe to use, they do carry some side effects. Many antihistamine users complain of drowsiness, headaches or dizziness. Even when an over-the-counter drug is marketed as having few side effects or “non-drowsy,” it will often still cause some types of symptoms. 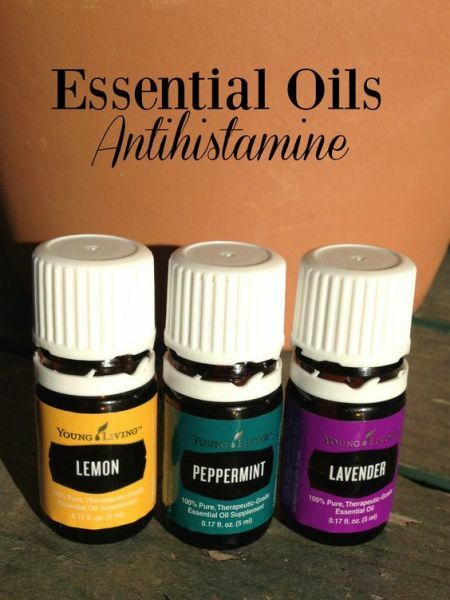 To have natural allergy relieve, try these simple antihistamine alternatives. Some herbs have been used as antihistamines for hundreds or thousands of years. Depending on the type of herb, you may be able to use it as a syrup, tea or supplement. Many of these herbs can be found at your local natural foods store or food co-op. Ginkgo: For years, gingko has been marketed as a memory enhancer and an energy booster. It also provides antihistamine properties. It can help naturally fight seasonal allergies, asthma, weak blood circulation and bronchitis. Often, gingko is consumed in a pill form. Elderberry: In the wild, you can pick elderberries fresh and they taste sweet. While it might be delicious to eat, the elderberry is more than just a snack. This berry can help to lower swelling and inflammation in your mucus membranes. This means that it is perfect if you have the flu, allergies or the cold and need help breathing. You can use it as a tea or as a liquid syrup as a natural antihistamine. Stinging Nettle: Stinging nettle is well known for its ability to work as an antihistamine. It can relieve the symptoms of seasonal allergies, hay fever, gout and sore joints. You can use it as a supplement or apply it to your skin. If you are collecting fresh stinging nettle, you must do so before it flowers and use gloves. Afterward, you must blanch the stinging nettle in boiling water to free it from the thorny spikes. Eyebright: This herb is known for being an effective eye medication, which is where it got its name. Other than eyes, it can alleviate allergy symptoms. Once used, it can alleviate itchy, dry and watery eyes. It can be used as a tea, and some forms can be used as an eye wash. Make sure that the package says that it can be used as an eye wash or ask your naturopath before using it as such. Jewelweed: Native Americans have had to deal with poison ivy for thousands of years. Over time, they figured out that jewelweed could stop the histamine reaction produced by poison ivy. Best of all, it turns out that jewelweed is also a natural antihistamine that can be used for allergies or bee stings. You can use it as a supplement or a topical. Flavonoids have natural anti-inflammatory properties that can help. Foods like green peppers, blueberries, tomatoes, sweet potatoes and strawberries are all rich in flavonoids. Surprise! Vitamin C is not just good for preventing illnesses. It can also help reduce the symptoms of allergies. It naturally fights against free radicals, boost your immune system and fights free radicals. Fruits and vegetables are naturally high in vitamin C, so make sure that you eat as many veggies and fruits as possible! Bromelain is a natural antihistamine that is a popular cough suppressant as well. It reduces the thickness of mucus produced in your body, which helps to reduce your tendency to cough. Bromelain is also good at digesting protein. Plus, bromelain blocks the production of kinnins and fibrin in your body, so it can reduce swelling and inflammation. It is found in the stem of pineapples, so you can either buy it as a supplement or eat a lot of pineapple. Vitamin A is found in leafy green vegetables, carrots, mangoes, tomatoes and spinach. It has antioxidant properties that help to control allergic reactions. These fatty acids are powerhouses of anti-inflammatory properties that can help your allergies. Best of all, you can easily find them in grass-fed meat, flaxseed oil, cold water fish and canola oil.